Disk analyzing is a procedure for detecting which files and folders take up disk space on a computer. 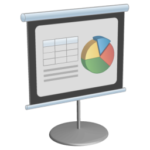 There are special software tools for Mac which help to examine hard drive content. 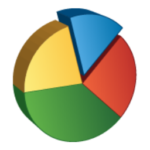 Such tools usually represent Mac disk space as a pie chart so that it’s easy to see each Mac folder size and deal with the bulkiest ones. If you need such an efficient tool, read on. We will tell you what is the best disk utility for Mac, which provides the largest set of useful features for quick analyzing of storage space. When your Mac HD starts to fill up, you don’t have to waste time manually searching for big files to find out what’s taking up your Mac storage space. 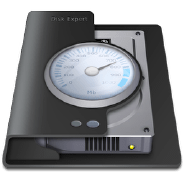 You can use Disk Expert from Nektony, which does this task quickly, easily and efficiently. 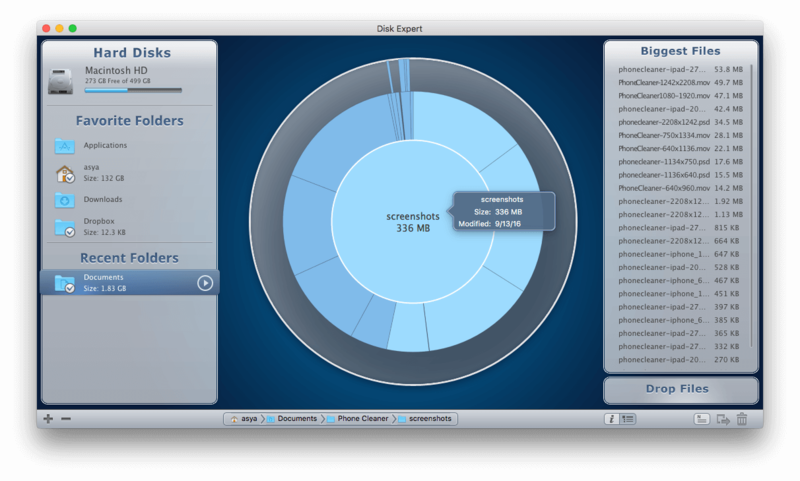 Disk Expert scans both hard and remote drives and helps you during a general cleanup to manage storage on Mac. That’s a great tool to organize media collections. 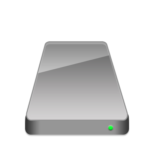 Also, Disk Expert can be used before data transfer and system backup. It is not possible to delete items but, instead, a parent folder could be opened in Finder and be removed from there. The app is truly simple in use, like the macOS-native tools. It can operate in background mode so that you can do your other tasks while the app scans your disk and creates a visualization of your space usage. 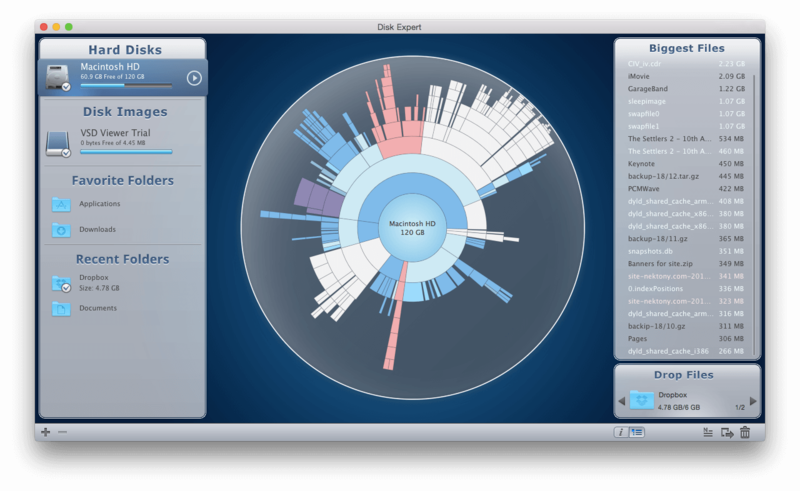 This Mac disk usage analyzer represents files and folders as a sunburst diagram. Every sector on the diagram is a separate file or folder. The size of the sector corresponds to the size of the item. Scan your hard drive and identify the bulkiest files and folders. Just navigate through the colorful sectors of the diagram which represent various folders and their sizes. The size of each sector is calculated accurately and corresponds to the real size of the item. Keep track of your large files and their location.You can easily reveal the file in Finder or preview the file using the Quick Look option. It’s easy to manage your files. The scanning speed is extremely fast. For example, for a 100GB hard drive, it takes less than one minute to scan and show the results. Disk Expert scans external drives with the same speed. Disk Expert also scans the FileVault-protected Home folder. To enable the FileVault protection, you should switch it on in the System Preferences. For this, go to the Security and Privacy section → FileVault tab. As soon as the Folder is displayed in Finder, the application will see it and allow you to scan it.